It’s time that your organization capitalizes on one of its greatest assets: Data. Your organization may generate a mountain of data, but does the data yield insights you can use to drive your decision-making process? Do you ask questions and then wait days or weeks for the answers? Do you discount the reports you do have because you don’t trust the data? 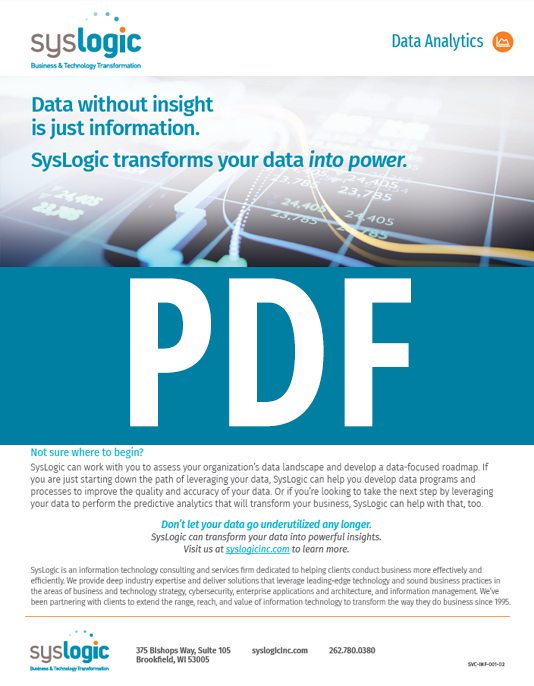 Let SysLogic show you how to transform your data into powerful insights. 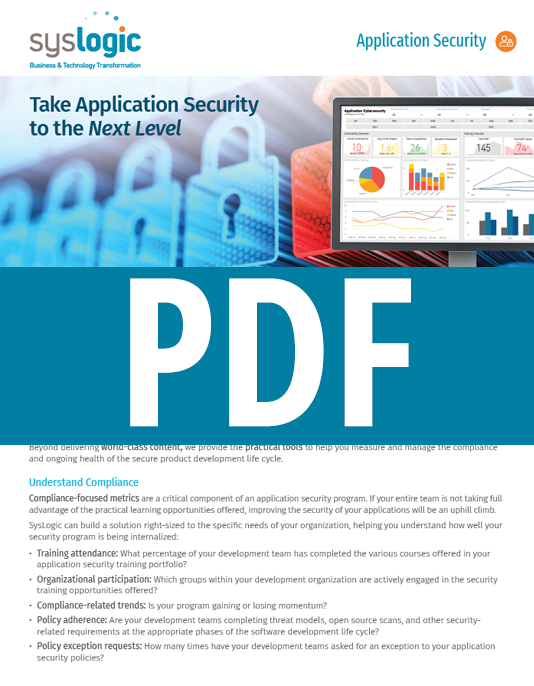 Businesses need to efficiently manage information so that the organization can make effective and informed decisions based upon solid data and analysis. At SysLogic, our Information Management consultants help clients gain the information they need to find the best solution for their business. We have many years of Business Intelligence and Data Warehousing solution delivery experience to provide end-to-end services, from strategy and planning to tool selection and implementation. SysLogic’s Information Management consulting teams are experienced in helping companies analyze their business information strategies and environment so that they can gain accurate historical, current, and predictive views of their business operations. Our solutions incorporate Business Intelligence best practices and leverage clients’ existing investments in various tools. A listing of our Information Management offerings is below.